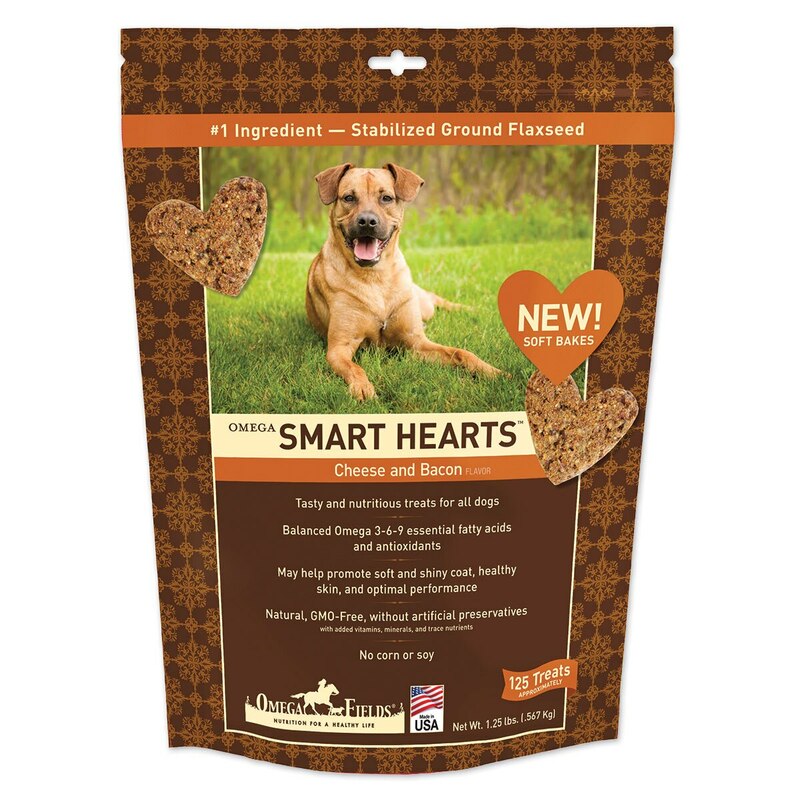 Omega Fields® Smart Hearts Dog Treats are balanced Omega-3-6-9 soft baked flax treats for dogs to help aid in the promotion of shiny healthy coat and optimal performance. No corn or soy. 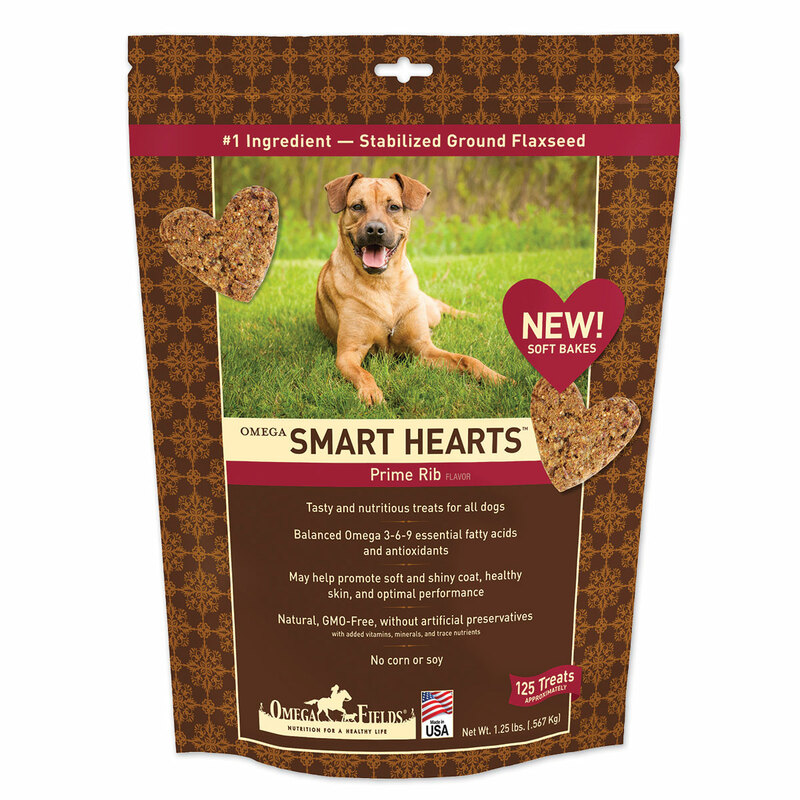 Natural GMO free nutritious treat.